The vlog. It’s all the rage nowadays on YouTube. It’s a unique medium of content that can be interpreted as a multitude of things as the definition of the word is actually video blog. I digress, however, as for the purposes of this article, we will be using the word “vlog” in the same connotation as its verbified version, which is vlogging. The colloquial definition of vlogging is essentially the act of holding up a camera and pointing it at yourself while recording video of whatever activity you are doing. It has a flip screen, 1080p 60fps, a microphone input, wireless connectivity, time-lapse mode, an interchangeable lens system, great battery life, and a small size. 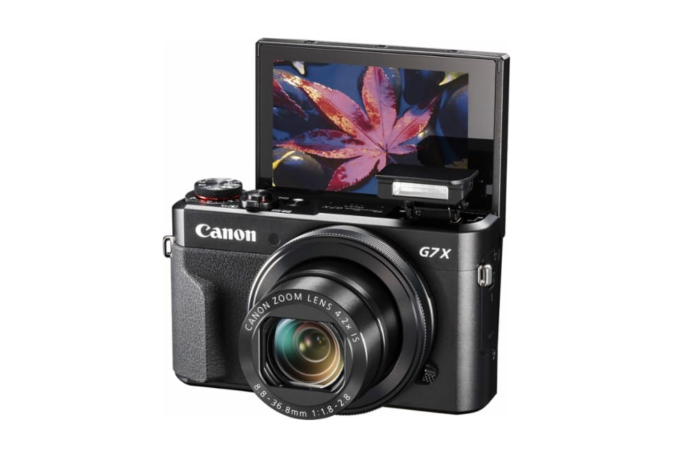 While it’s not as small as the fixed-lens compact cameras on this list, the Canon EOS M6 manages to have everything you would want in a vlogging camera while keeping its size within reason. It has great image quality, and along with it being an interchangeable-lens camera, you will be able to do so much more with it other than just vlogging. For these reasons, the M6 is the best overall vlogging camera. While not a flip-screen camera per se, if you have a smartphone, and I presume that you do, then the DJI Osmo+ can also be a great vlogging camera as it actually uses your phone as its monitor. The Osmo+ is part-camera and part-gimbal, which means that to turn it into a vlogging rig, all you really need to do is orient the camera part towards yourself. You are sacrificing a lot of pocketability with this one, but the video quality is great, and the stabilization will go unmatched by everything else on this list, it having an electronic gimbal system. With that, we wrap up this list. We hope this was able to give you some insight whether you’re an aspiring vlogger looking to jumpstart his/her career, or if you’re a more seasoned one looking to upgrade their arsenal. What other cameras do you think could be part of this list?